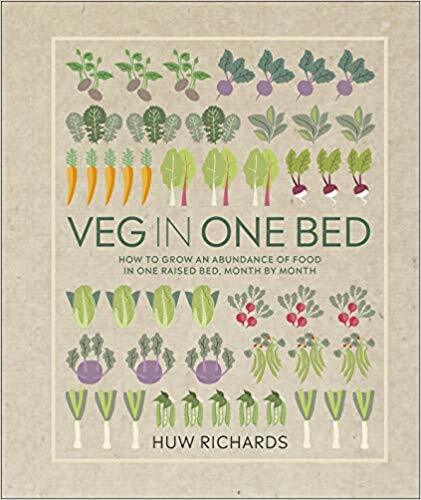 To celebrate You Tube gardening sensation, Huw Richards' participation in Open Garden Squares Weekend this year, we are delighted to offer 100 copies of his new book Veg in One Bed at £12 (inc p&p - UK only). Normal retail price £14.99. This is a strictly limited offer - first come, first served! In just one raised bed, Veg in One Bed shows you how to grow vegetables easily, organically, abundantly and inexpensively so you have something to harvest every month of the year. Explained in clear photographed steps you can discover, month by month, what you need to do and how to do it. Try it in your allotment, a small garden, or even on a roof terrace.